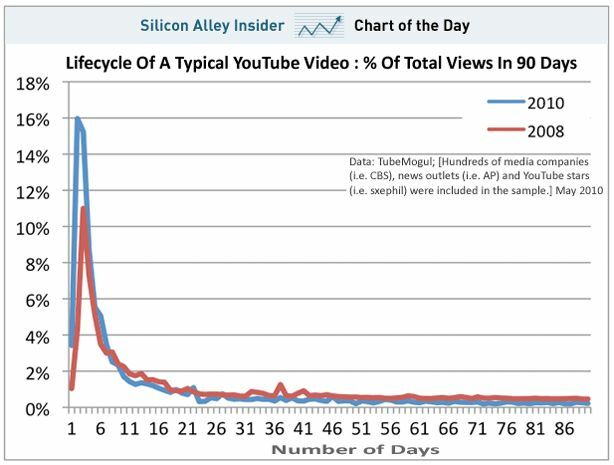 Analytics shop TubeMogul points out the half-life of a YouTube video is now only 6 days, meaning in less than a week an online flick has burned through half its potential audience. 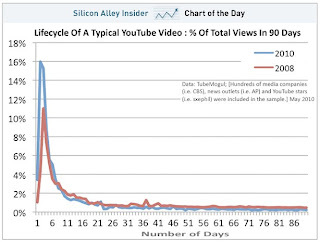 After 20 days, any given video has pulled 75% of its total eyeballs. This isn’t great news for creative agencies focused on selling viral potential — and points out consumers’ ADHD is accelerating, since back in 2008 a YouTube audience lasted at least twice as long. Don’t fret, though, viral promoters — newsprint and radio ain’t doing so hot, either.